Growing up amid the smog and congestion of Los Angeles, Bryan Meadan dreamt of someday escaping to Israel. He could just picture himself living in the lush green Galilee, spending his nights with friends drinking beer under an open, starry sky. With help from Federation partner The Jewish Agency for Israel, he made aliyah the first chance he got. Before he knew it, Bryan was living the dream. He had a wife, four children, two degrees, and a good job. His lungs were filled with the fresh Galilee air, and his fridge was filled with cold ones waiting for him after work each evening. And then the unthinkable happened—he was diagnosed with Celiac Disease, a severe intolerance to gluten. That meant no more bread. And no more beer. Rather than mope over his fate, Bryan began to experiment with brewing beer from Mediterranean staples like dates, chickpeas, and buckwheat. “You can make a beer that is very, very tasty and gluten-free, it’s just a matter of wanting to,” he says. After perfecting his recipes over several years, he was ready to launch Meadan Craft Brewing in 2015. Again, The Jewish Agency was there to help him make his dream a reality. The Jewish Agency’s Small Business Loan Funds help Israeli entrepreneurs open or expand their businesses through loans with highly attractive terms. The Jewish Agency even acts as a partial guarantor to support businesses like Bryan’s that otherwise would have a difficult time qualifying for bank loans. Even better? Funds help support innovation in up-and-coming regions like the Negev and the Galilee, with a focus on lifting up new immigrants, Ethiopian-Israelis, the ultra-Orthodox, and Arab-Israelis. Bryan also received crucial assistance from his town’s North American sister city through The Jewish Agency’s Partnership2Gether program. With the money, he bought an automatic bottling system to keep up with Meadean’s growing sales—and expand them even further. Now, just one year later, business is booming. Bryan’s brews are popular with beer connoisseurs and people with Celiac alike. 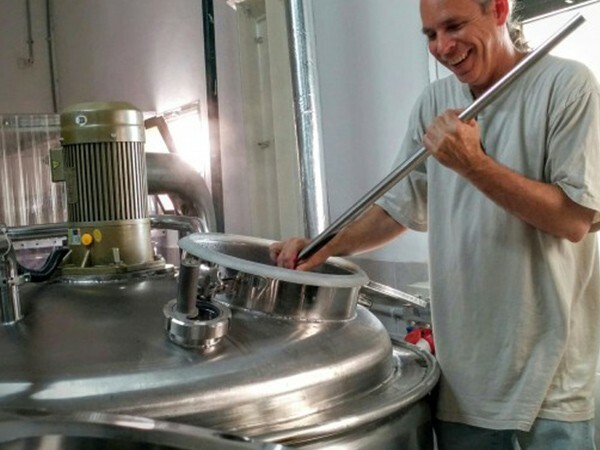 He also quickly recognized an unexpected blessing in being a gluten-free brewer in the Jewish state—Passover. During the week-long religious ban on leaven, his tiny brewery sold 40,000 bottles of beer, and he expects that number to triple next spring. But like any good entrepreneur, Bryan isn’t resting on his laurels. He’s now searching for investors to bring his brews to the global market.